For those who need some assistance viewing social media. We wanted to develop something that is truly accessible by everyone. Interpreting images posted to social media can be difficult for many. This is the beginning of a powerful, user-friendly solution. 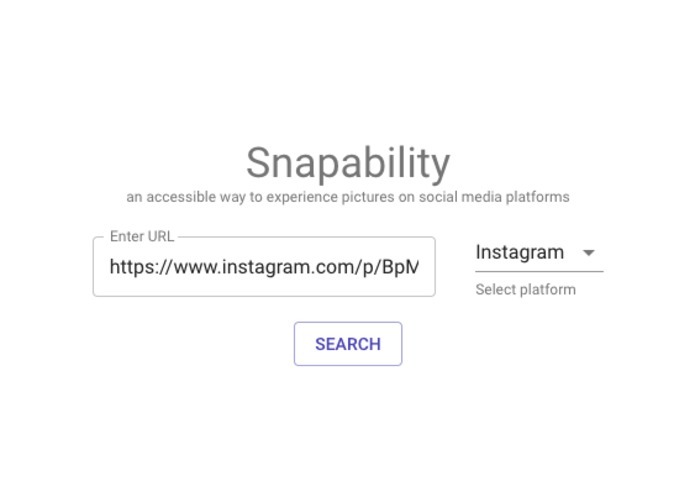 Snapability is a web-based app that allows for images, posted via social media, to be described in an understandable way for those who are visually impaired. Initially, we planned on using Snapchat's 'SnapKit' for retrieving public Stories. This turned out to be an issue that we were not expecting, as Snapchat as well as other social media platforms such as Facebook, Instagram, and Twitter require approval for the distribution of their API keys. Tumblr also had this prerequisite, but it was granted almost immediately. With had no Google Cloud Platform experience, the resources provided at HackUMBC allowed us to expand our horizons and grasp the knowledge needed to complete the project exactly how we visioned. We successfully created and used cloud functions and datastores to fetch, store and provide data. We hope this fits as an example for the beginning of an extensive accessibility-friendly platform. Moving forward, using official Twitter, Facebook, and Instagram APIs would be the next step. 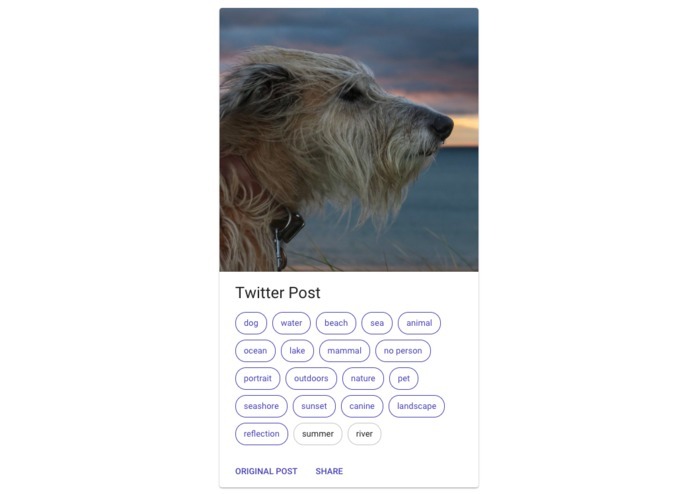 Converting the keywords/tags into something much more humanistic is in Snapability's crosshairs, potentially utilizing Google's Natural Language Processing API. I developed the remaining cloud functions and worked on the front end of the web app. I developed half of the backend cloud functions as well as the front end UI for snapability.